Home | Mises Library | Can a Central Bank Go Broke? Can a Central Bank Go Broke? 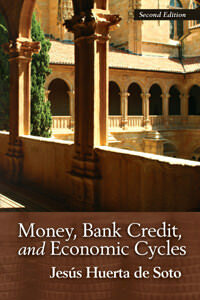 Centralized monetary authorities enjoy a privileged position in the current monetary system. People tend to view the economists and politicians at these institutions as demigods, individuals who if given enough resources will ensure that the economy continues an ever-advancing and smooth trajectory. However, unlike the Greek demigods of yore, today's central bankers are mere mortals who must work within the confines and constraints of the institution that they head. While they present an aura of invincibility, the truth is that the effectiveness of their policies faces severe limits. Conventionally, a central bank pursues its goal of price stability by adjusting the money supply to alter the discount rate indirectly, thus making lending more or less attractive. The recent crisis draws attention to a secondary function of these banks — namely, as a lender of last resort. After the Lehman Brothers collapse of September 2008, central banks of the world intervened in a united effort to swap bad, illiquid assets from the private banking sector for higher-quality government debt. While this process proceeded unhindered in its early stages, central banks soon found themselves with declining balances of higher-quality debt to swap. The lone tool remaining to combat the liquidity crisis was a quantitative expansion — increasing the money supply, and thus making fresh liquidity available to the banking system for retiring its liabilities. Through this qualitative expansion, central banks were able to bailout domestic banking systems that were heavily indebted in domestic currencies, such as the American system. However, other economies that relied on foreign funding were not quite as fortunate. The insolvency of the Central Bank of Iceland late last year brought this issue to light; several additional central banks are still at risk. Central banks that are only able to inflate the money supply in their own domestic currency face significant challenges when faced with banking systems heavily indebted in foreign-denominated liabilities. As the recent Icelandic example has demonstrated, the possibility of central bank insolvency creates the opportunity for real banking reform. 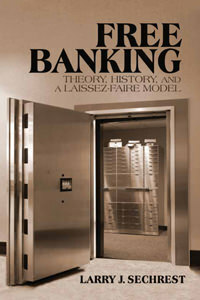 Murray Rothbard, in his book The Case Against the Fed, argues that a private, free-banking industry is disciplined by the threat of a bank run, which keeps it from overissuing its liabilities in excess of its assets. A central-bank-led fractional-reserve system is, however, under no such constraint. Fiat money grants the central monetary authority an advantage: its own liabilities — primarily the monetary base — will never be forced into redemption for anything other than the same nominal units they are denominated in. Until 1914, and then between 1925 and 1931, the Bank of England redeemed its £20 notes into a quantity of gold that was called "the sum of £20." Today it redeems these notes into other notes of the same kind. The point is that in the old days the expression "the sum of £20" had a different legal meaning than it has today. At the time it designated some five ounces of gold. Today it means something different. The suspension of payments has turned the expression "the sum of £20" into a self-referential tautology — it now designates £20 paper notes. The notes that promise payment of "the sum of £20" do no more than promise payment in like notes. The result is that liabilities may be retired by inflating the money supply and not through sacrificing any real savings, whether they be a commodity (such as gold) or a foreign currency. This central bank's ability to effortlessly inflate away domestic liabilities has given rise to its oft-cited function as a lender of last resort. Hence, as banks find themselves facing illiquidity, entrepreneurs assume that the central bank is capable of moving in swiftly to expand the money supply and head off a crisis. Today, as the global money markets have taken on a more reserved tone, economic turbulence has caused many financial institutions to experience a binding liquidity constraint. Many central banks have thus taken on the role of market makers to ensure that liquidity remains high enough to keep the companies facing this constraint from becoming insolvent. Ignore for the moment whether artificially propping up companies that have made an entrepreneurial error in the past and are now facing insolvency should be rescued. The really interesting question becomes: is this possible in all cases, as entrepreneurs commonly assume? Recently, the Fed was nearing insolvency as it used its own assets to bail-out a faltering financial system. As the Fed swapped high-quality government debt for subprime debt that was burdening the banking sector, the central bank exhausted a large amount of its assets and approached its own funding constraint. At this point, the Fed adopted a simple solution: it expanded the supply of money available to the banking sector, thus allowing it to retire its dollar-denominated liabilities. Since the liabilities that the central bank wanted to retire were denominated in that same domestic currency, it had the ability to retire them simply by expanding the money supply. In this way, the Fed averted a liquidity crisis with no significant difficulty (leaving aside the hidden damages associated with all money expansions). What if a banking system is not saddled with debt that is denominated in its domestic currency, but rather debt denominated in a foreign currency? In this case, the central monetary authority is limited in its role as a lender of last resort. It can enact regulatory changes that affect reserve requirements, capital adequacy ratios, etc. It can pursue open-market operations using its balance sheet assets to offset transactions. Or, it can inflate its own money supply. Its assets held in foreign liabilities become the lynchpin in maintaining the solvency of this type of banking system. When global liquidity is seriously restrained, economies heavily denominated in foreign currencies quickly feel the strain. The Icelandic banking system is the most recent example of this problem. The Central Bank of Iceland lacked the ability to inflate in any currency other than the domestic króna; as a result, Iceland's banking sector — which was heavily indebted in foreign liabilities (primarily Japanese yen and Swiss francs) — succumbed to insolvency. As liquidity evaporated in the fall of 2008, global institutions accustomed to continually rolling over debts faced the challenge of having to pay off their liabilities. However, they had to do so without simultaneously taking out offsetting debt positions (that is, extending the maturity by rolling over existing debt). These liabilities were due in foreign currencies, so Iceland's domestic banking system was unable to fulfill its debt obligations. Iceland had a foreign-denominated debt-to-GDP ratio of between 60 and 70 percent during the height of its boom. Several countries today are marked by no less extreme levels, including many eastern European countries — chiefly, Estonia, Hungary, Latvia, Lithuania, and Serbia — which all face foreign-denominated debt-to-GDP ratios that are higher than 66 percent. Most of these countries have already received IMF loans to ease the pressures caused by this imbalance. A renewed bout of financial turmoil may aggravate the liquidity constraint caused by this foreign-denominated debt. These countries may end up insolvent once again if these banking systems prove to be too over-leveraged in foreign-denominated debt to be sustainable. Central banks enjoy a revered position in discussions on monetary matters. At their disposal are a seemingly endless array of tools and weapons ready to correct any market "imbalance" that threatens economic stability. However, these institutions are only as useful as the assets they represent. Expansionary monetary policies cannot fix all problems that a central bank faces. Countries faced with banking sectors heavily indebted in foreign-denominated liabilities will eventually find the central bank (which lured them to these positions) to be impotent. Jésus Huerta de Soto demonstrates in his magisterial work Money, Bank Credit, and Economic Cycles that the current banking system enjoys the privileged legal provision of being able to treat deposit accounts as though they were loans. A central bank sustains this fractional-reserve system by ensuring that an illiquid banking industry will have adequate liquidity in times of banking crises. The possibility of an insolvent central bank, however, bypasses the question of whether the central bank should be abolished and concludes that it will, in certain instances, abolish itself as insolvency renders it helpless. Banking systems heavily indebted in foreign-denominated currencies are especially vulnerable to this possibility, simply because central banks are only able to bailout domestically denominated debt obligations. A well-known adage states that "if it ain't broke, don't fix it." Economists have long claimed that central planners are necessary to ensure economic stability. Their looming bankruptcies could end up exposing the sterility of this very function. Let's hope that once these monetary authorities are exposed as broken, they will be fixed in light of the true needs and demands of a prosperous economic order. Free banking, operating under established legal principles coupled with the private production of money, will ensure that an oversized banking industry does not develop. Neither will it rely on the fallacy that an omnipotent centralized monetary authority is always on guard, ready to save capitalism from its own excesses. Jörg Guido Hülsmann, The Ethics of Money Production (Auburn: Ludwig von Mises Institute, 2008), p. 162. There are historical precedents for central banks in developing countries going bust in the not so distant past. The Reserve Bank of Zimbabwe provides one such well known example. The National Bank of Tajikistan has recently also found itself gripped with insolvency. While the latter case has been brought by internal corruption more than economic conditions, there are a growing number of cases which are displaying the signs of becoming caught in the insolvency trap.